From the front end to the backend: the people, technology, and the processes that empower them must all align towards a genuinely unified retail experience. From brick and mortar stores to e-commerce, to social, to the marketplace––and everything in between––the ability to buy has to be fast, easy, and reliable. But for all of that to work, there also has to be a seamless, “omnichannel” unified retail experience throughout your organization to live up to these changing shopper expectations. Today, the departments, systems and resources (everyone and everything) must all work together seamlessly to drive the overarching goal of capturing consumer attention to successfully deliver on promises, gain customer loyalty and accumulate market share. The thing is, you can have all the best technology, processes, products, and services in the world, but without the right people and internal culture, it’s nearly impossible to maximize your business potential. Today, navigating the modern retail landscape is like striking a path across ground that is continuously moving. Consumers are leveraging new methods of product discovery at a breakneck pace while competitors are offering new modes for delivering those products into their hands every day. To keep up, those in the retail industry must be willing to adapt to these shifting sands and banish the mindset of “We’ve always done it this way.” The talent required for the retail industry of 2018 must be excited by change, be customer satisfaction oriented and great team players. Part of the “people” aspect of a company that shouldn’t be overlooked is ensuring a cohesive company culture across teams and departments. When everyone is on the same page related to each other’s goals and priorities, it makes it easier for everyone to work together towards achieving them. Without this level of transparency, the whole system can break down: Sales can’t reach their targets without marketing bringing in the leads; customer service faces a backlash when the warehouse gets backed up; brick-and-mortar stores suffer when inventory distribution center deliveries don’t arrive as expected. But when there is clear goal alignment between people and all know what’s expected of them and how their work impacts others across the company, they can accomplish so much more because they’ll understand their accountability for, and shared responsibility towards, each other. Technology is the engine that’s powering these significant changes in consumer behavior. It’s also powering retail’s response to fluid shopping habits. 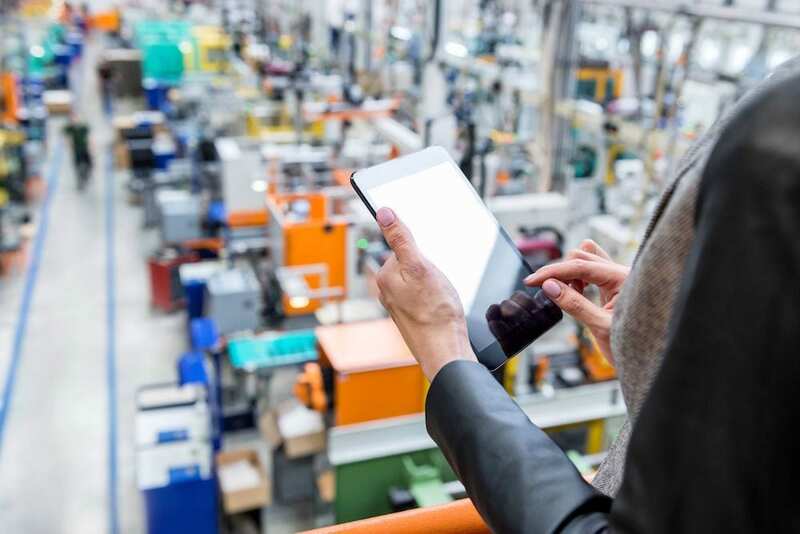 Technology is a vital tool for the unified retail experiences that connects everything, ushering documents, communications, and transactions through the order and inventory management process all the way through to fulfillment, packing, and shipping. Today’s retail landscape wouldn’t be what it is without technology coordinating all of those efforts, automatically and (almost) instantly. Consumers are expecting a unified experience across channels. Retail companies require unification across departments to function, but when they are selling so many products, across so many channels, and fulfilling them in so many ways, it’s impossible for humans to keep up with the efficiency, accuracy, and speed that retail business demands of them. E-commerce sites, ERPs, EDI, even RFID scanner technologies can help reduce errors while keeping all the cogs in the sales process up to date on all the transactions taking place and all the steps needed to complete them. But all of these systems need to be omnichannel; silos are no longer acceptable when you have sales coming from all directions. That means that your typical legacy system is no longer robust enough to cut it. The systems that can are either built from the ground up to work together across all the channels or are systems––that initially couldn’t talk to each other––but now can with an add-on network (like EDI). When the right systems are in place and all “talking” to each other, these silos collapse, inventory can flow smoothly, order visibility and predictability increases, errors and mistakes decrease, deadlines, delivery dates are met – and customers are satisfied. Processes are the third piece of the puzzle needed for retail to meet the demands of today’s consumer. Processes are typically defined as the rules and actions required to achieve a task or goal. Some are automatic, such as when an e-commerce site transmits an online order electronically into the order management queue, while humans carry out other operations; or when a warehouse worker picks and packs an order for shipping. Whether these processes are occurring between systems, people, or any combination of both, efficiency, speed and accuracy are vital for delivering on consumer expectations and reaching organizational goals. For example, automation of recurring tasks within your order management process reduces how much time it takes to get a direct-to-consumer purchase shipped after the e-commerce order is first placed. Amazon Prime’s two-day shipping option has forced many retailers to rethink how they can compete and get packages out the door faster. One of the most overlooked, much-maligned processes that can make or break a retailer’s online sales success is the return process. Online returns are often a necessary evil in e-commerce retailing. Online shoppers often need to return or exchange purchases, but the costs associated with those processes can quickly add up for retailers, resulting in lost money above and beyond the refund. Again, Amazon has had something to do with setting the bar here; they’ve made it easy and free to send items backs, and in many cases offer instant refunds the moment the return package is in transit. Amazon takes a hit on these added costs, but they gain customer trust and loyalty. They have their eye on the real prize: greater customer lifetime value. The lesson to be learned here is a generous return policy and smooth, streamlined return process can gain something money can’t buy – customer loyalty. When people, process and technology are all working together smoothly, it’s like a well-rehearsed orchestra. All know what’s expected of them, what tools and instruments they need, where they need to be, when and how they must do their part for everything to fit together from beginning to end. The more they work together, they better they become at their functions. When they need to improvise, they have the flexibility and skill to make the right changes at the right moment. When one of these three elements are problematic, it can hold your whole organization back. A legacy system may not be able to accommodate a new requirement. Processes carried out manually that could be automated may be taking up valuable hours of time. You may not have enough people in place to fulfill all the orders coming in or field all of the customer services calls. When these problems start impacting promises made to customers, it’s a recipe for disaster. It only takes a few vocal unsatisfied customers to start a snowball effect of bad reviews and poor public perception. Within a unified retail framework, it shouldn’t matter where the sale is made, as long as it’s made. Unfortunately, all too often e-commerce results are pitted against the retail store, social, marketplaces, and other sales channels, leading to unnecessary infighting over who gets credit for the sale, resulting in friction and potentially interfering with sales results across all channels. In all reality, there are likely multiple channel touchpoints throughout the path to each sale, so incentivizing a channel-agnostic approach is key to omnichannel strategy. Ultimately the level of harmony and discord is determined by the “conductors” – the C-suite leadership. They set the rules and the expectations. Depending on the choices leaders make, they can set their teams up for successful, harmonic collaboration to make more sales or cutthroat competition that could entice teams to work against each other and impede sales. In short, these three elements are the necessary foundation that must be in place for today’s modern business to be resilient in the age of unified retail––the resiliency to absorb, evolve and move forward as the retail landscape continues to be a moving target. Constant change is inevitable in this landscape, but fluidity is critical. Some new consumer preference, customer service concept or sales channel will make itself known, and you’ll have to revisit and revise your strategy and execution to make sure that you’re still competing and growing. But people, process, and technology will always be a winning formula for agility and adaptability in the marketplace. Filling your teams with talented people, investing in flexible and robust technology solutions, and refining your processes for efficiency, speed and agility set the table for success, even as consumer shopping habits shift.